NextBus is a free internet service using GPS and cellular networks to provide realtime arrival data for over 135 transit agencies in the United States and Canada. NextBus provides web and mobile phone access, and there are some nice smartphone apps around. As a “heavy user,” I wanted to take it one step further, creating a wall clock of sorts…a continuous feed of the stops relevant to my needs…no need to even pull out a phone or click a bookmark, the information’s always there at a glance. 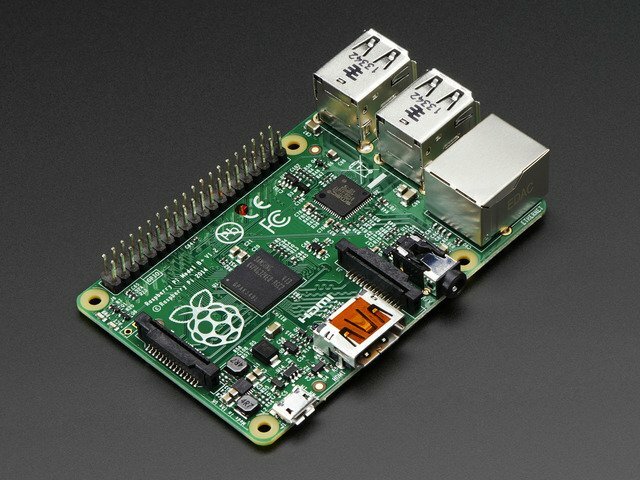 Raspberry Pi computer — Model A+, B+ or Pi 2 only. 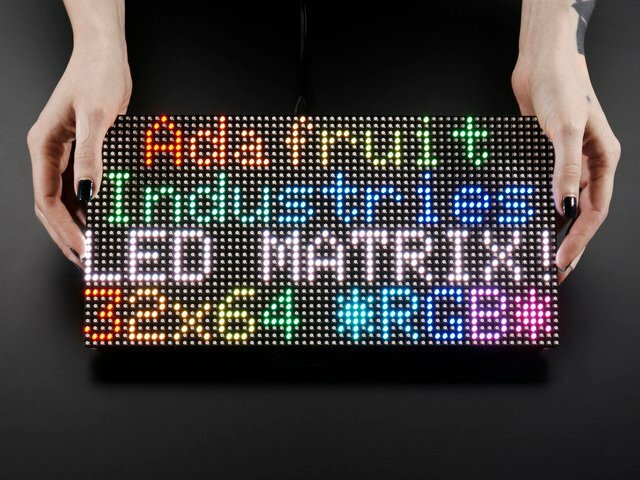 RGB LED matrix: we have many sizes and pitches (pixel spacing). Our example code is written for a single 64x32 matrix, but with some work could be adapted to smaller matrices, or could span across multiple matrices. 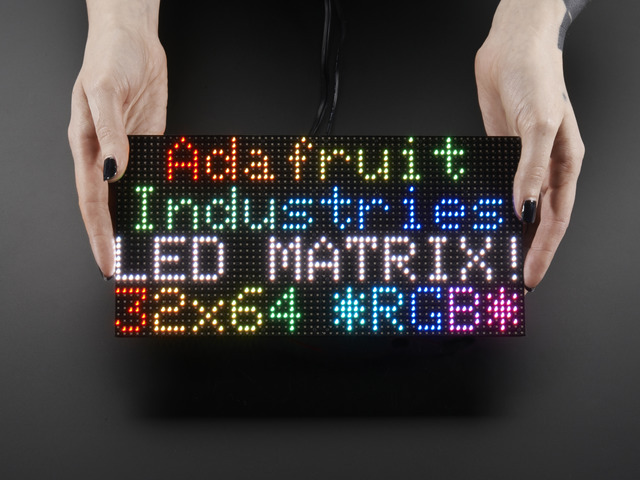 This works with “matrix panels” only, not NeoPixel matrices! 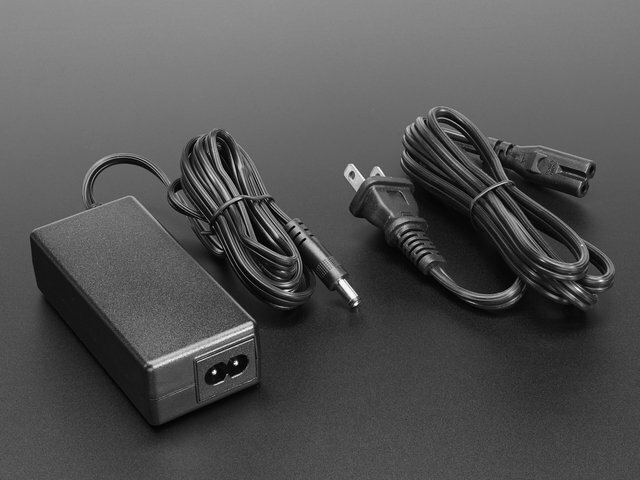 5V 10A switching power supply. 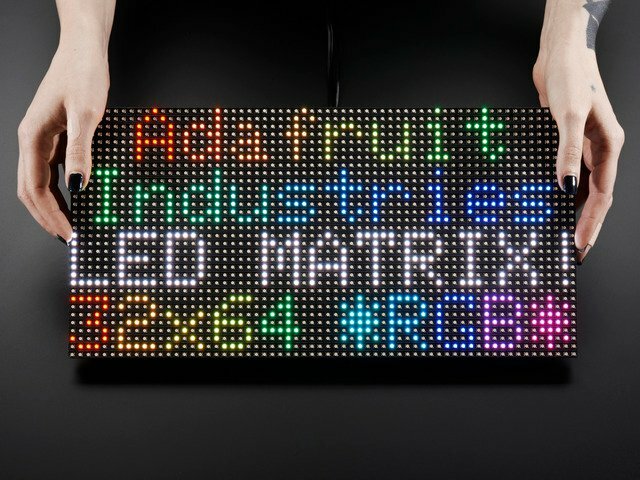 If you're using the matrix for this bus project only, this 5V 4A supply is sufficient…but if you might repurpose the matrix later for projects with more LEDs active, the larger supply is recommended. A monitor, keyboard and mouse are required for initial system setup, but the system can run “headless” once configured. 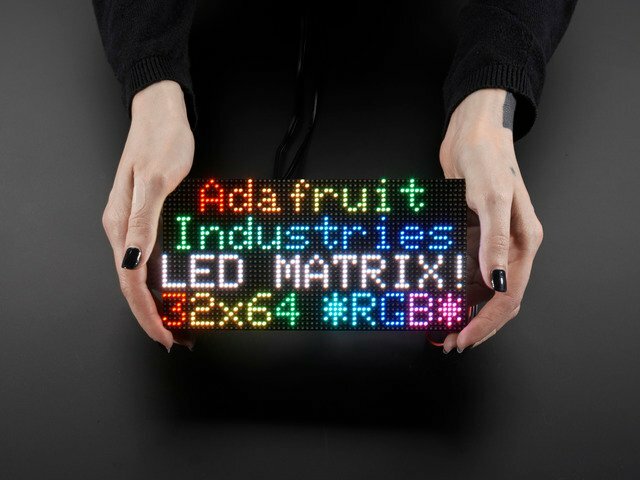 Our Adafruit RGB Matrix Pi HAT interfaces the LED matrix to the Raspberry Pi. 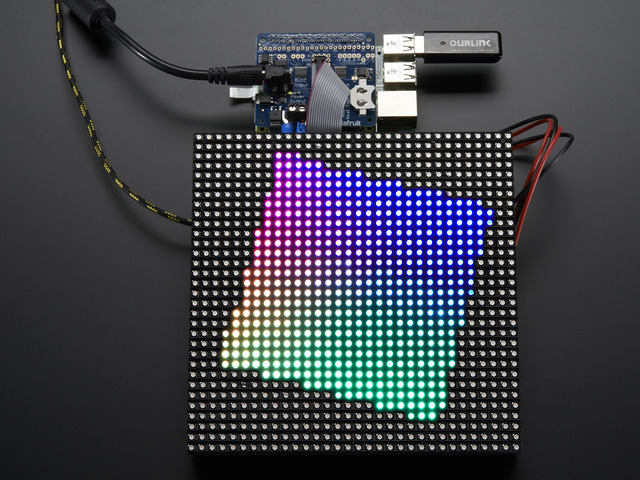 HATs use a 40-pin header and only work with the Model A+, B+ or Pi 2 — not older models. This project is not computationally demanding…so if you recently upgraded to a Pi 2 and have an A+ or B+ now sitting idle, this is an ideal project for repurposing “last year’s” board. Before commiting to this project, I’d suggest trying the NextBus service for a couple weeks with your regular web browser and/or on your phone, in order to understand its limitations. While very convenient and fairly reliable overall, the system is not 100% perfect. Not all vehicles are equipped with working tracking hardware. Sometimes GPS or cell signals are lost and tracking estimates may jump forward or back by several minutes. Get to know how much lead time you need to safely and reliably make your transit connection, and whether the service meets your needs. This guide was first published on Mar 01, 2015. It was last updated on Mar 01, 2015. This page (Overview) was last updated on Apr 19, 2019.